Get rid of a range of mixing problems with the Planetary Mixer, which we offer. Whether it is kneading, intense mixing or dispersing, the Planetary Mixer is one-stop Bakery Equipment for doing all such related jobs. 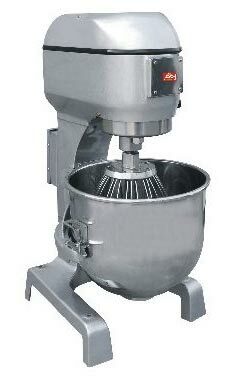 We are ranked among the reputed names to get premium Planetary Mixer. The mixing blades of Planetary Mixer are made from high-quality food-grade material.